Advertise your products and services to a targeted audience. 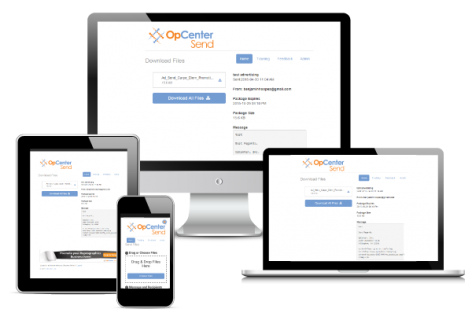 Expand your marketing reach as files are forwarded to prospective leads. Track, preview and swap advertisements. 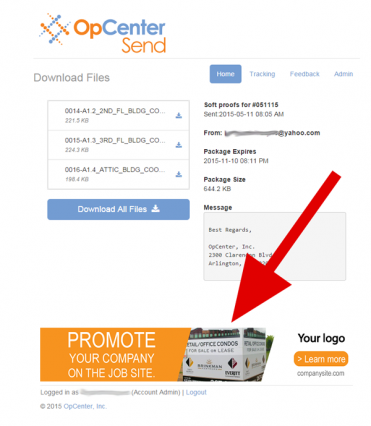 Your advertisements are displayed every time a customer downloads files from your OpCenter Send account. "Easy and quick. Makes sending large files a piece of cake, and in my line of work it's imperative that I work quickly and efficiently." "It simplifies the upload process and it not only makes me look very professional to the customer, it saves me a huge amount of time. 10 Stars!" Love this program! Simple to use and super fast." Track digital delivery of orders, including: recipients, number of downloads, time and date of transactions and expirations. 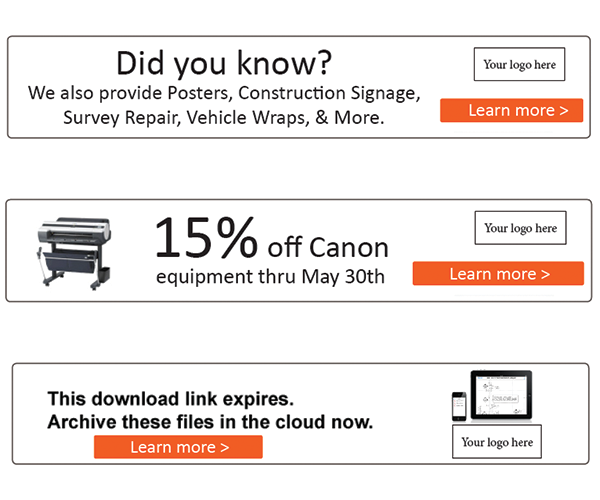 Send scan files, soft proofs, 3-D, BIM or Revit files to your customers or between your locations. Reduce support calls related to FTP and eliminate the need to create unique passwords for each customer.